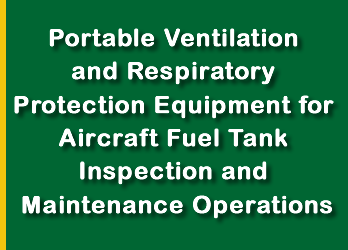 Prepares Fuel Tank for Entry within one hour or less on most Aircraft and Rotorcraft Models. 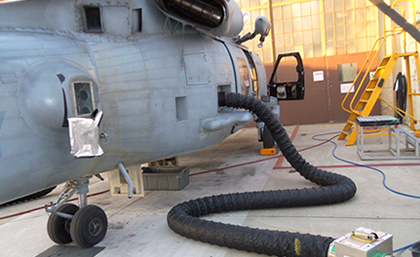 Supplies continuous air exchange to support Personnel. 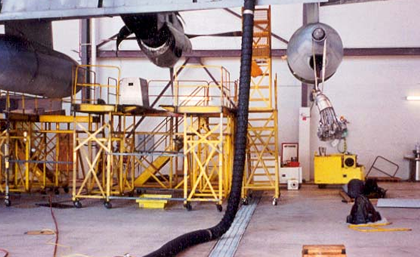 Reduces personnel exposure to harmful fuel vapor by safely routing it away from the Aircraft and surrounding Work Area or Hanger. 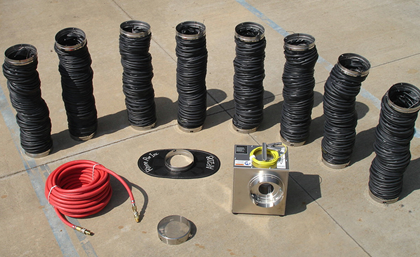 Variety of product choices available to address specific airframe design and customer budgets. Proven Effective on all Models of Aircraft and Rotorcraft. 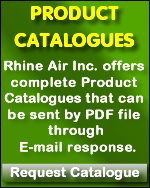 Used by leading Aircraft Manufacturer’s, Maintenance Firms and Military activities worldwide. Airframes include Boeing, Airbus, Embraer, Bombardier, Lockheed/Martin, Sikorsky, Gulfstream, Cessna, Eurocopter, Bell/ Textron, Agusta Westland and more. 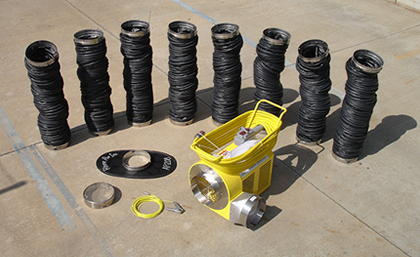 Lightweight and portable components. 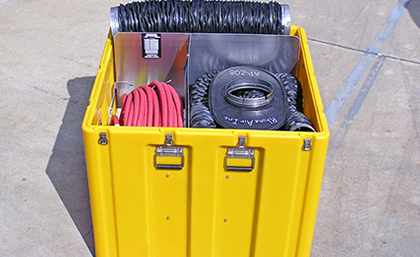 Easy to transport, set up, and use. 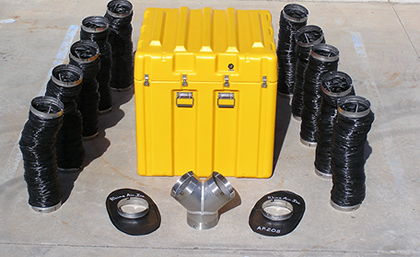 Ideal for Fixed Base or Mobile AOG Operations.